The shocking announcement by the Russian government of a 12 month extension of its wheat export ban and the outbreak of food riots in Mozambique are stark reminders that the world is just one really bad year away from a horrific world famine. As you read this, the world is already really, really struggling to feed itself. Approximately 1 billion people throughout the world go to bed hungry each night. Somewhere in the world someone starves to death every 3.6 seconds, and 75 percent of those are children under the age of five. And those are the statistics that we have seen while North America has been producing record harvests. So what is going to happen when the United States and Canada have really bad harvests for a year or two as world demand for food continues to skyrocket? That is a very sobering question. Don’t think that it can’t happen. Russia was the third largest wheat exporter in the world last year, but because of the massive heatwave and the horrific fires that have devastated that nation, they have banned all wheat exports for over a year. That’s right. Russia just announced a 12 month extension of its wheat export ban and authorities around the globe are now scrambling to find a way to avoid the terrible food riots that we saw back in 2008. The announcement by the Russian government sent wheat prices to close to a two-year high. With wheat prices soaring, dozens of nations around the globe already living on the very edge of poverty are wondering how in the world they are going to be able to feed their people. The UN’s Food and Agriculture Organization has called an emergency meeting to discuss the burgeoning crisis. But if there is simply not enough food then there is not enough food. Already, food riots in Mozambique this week have left at least seven people dead and at least 280 injured. The riots in Maputo, the capital of Mozambique, broke out over the government’s decision to raise bread prices a whopping 30 percent. Food warehouses have been looted and police in Maputo actually opened fire on the demonstrators at one point. But what else can the people there do? When people lose everything they have and they are starving they tend to lose it. It is just human nature. So will all this rioting change anything? Unfortunately, no. The government of Mozambique says that the bread price increases are “irreversible”. Prices around the world have gone up. The game has changed. Hundreds of millions around the world who can barely afford to feed themselves are going to find it even harder to buy their daily bread. The UN Food and Agriculture Organization says that its global food price index shot up 5% between July and August. That is a huge one month jump. Of course wheat prices are leading the way. Wheat prices have surged nearly 70 percent since January of this year. Food prices have even been going up in the United States. 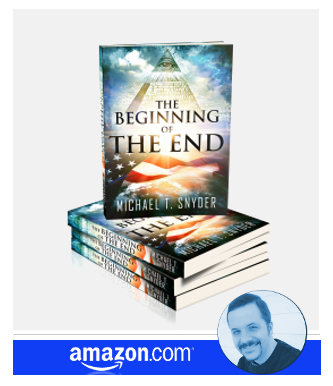 We live in a truly global economy now, and the U.S. is not immune from what is going on in the rest of the world. According to recent reports, the price of food is going up significantly at places like Wal-Mart. And there are signs that things could soon get even worse. Pakistan just experienced the worst flooding ever recorded in that nation, and needless to say harvests there have been completely obliterated. At one point, one-fifth of the entire nation of Pakistan was under water. The chaos the flooding has caused is unimaginable. Massive swarms of crop-destroying locusts have invaded over 40 villages in the African nation of Guinea-Bissau and there are reports that the locust swarms are heading north toward Senegal. In Australia, farmers are bracing for what is being called the worst locust plague in a generation. It is easy to laugh about a “plague of locusts”, but for many farmers in Australia it is a nightmare of unprecedented proportions. Meanwhile, experts tell us that global demand for food will more than double over the next 50 years. So where in the world is all of that extra food going to come from? Up to this point, North America has experienced uncharacteristically good weather for 18 consecutive years and has enjoyed many record harvests during that time. So what happens when the good weather stops someday? There is no guarantee that we are always going to have a huge abundance of food in this nation. 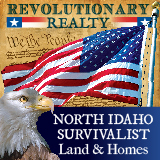 A major disaster or emergency combined with a bad harvest season could change things in America very, very quickly. Many Americans are realizing that if things go really bad the U.S. government is not going to be able to take care of everyone. 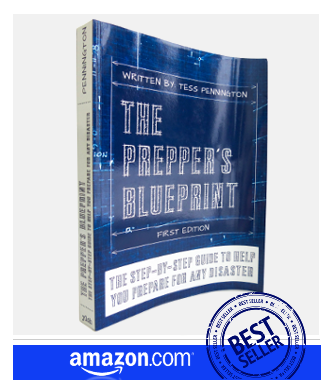 Right now, the number of “preppers” in the United States is absolutely exploding. Storing up food and supplies has suddenly become fashionable again. And rightly so. The truth is that “U.S. strategic grain reserves” are at ridiculously low levels. If a true food crisis hit, those reserves would be gone almost overnight. 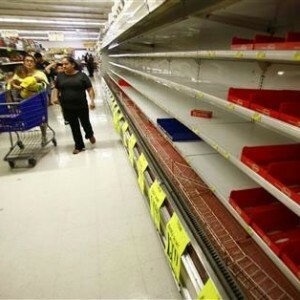 Let’s hope that the crisis in Russia is resolved soon and that food shortages don’t start spreading throughout the world. 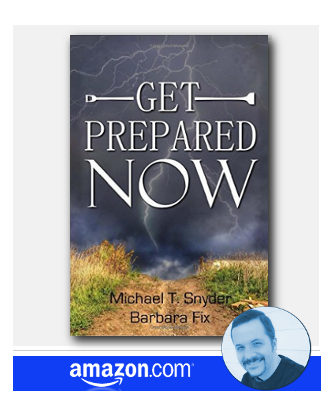 But someday if the world does experience a horrific famine, are you and your family prepared?